FROM fuel to falafel, furniture, finances and security – Greater Dandenong’s latest Business Grants Program recipients cover a lot of ground. 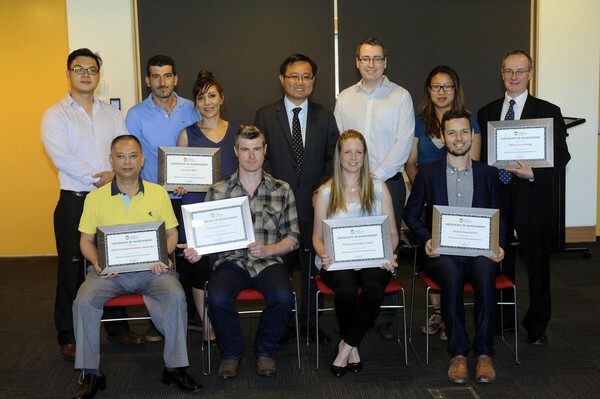 The council presented six successful businesses with certificates at Dandenong Civic Centre on Thursday 10 December. Mayor Heang Tak said the program promoted and strengthened the municipality’s business community. “Young Uncles Coffee and Sandwich Bar was awarded our first business grant in 2014,” he said. Cr Tak said five businesses successfully applied for 2015 grants and the 2016 group had grown to six. The council’s senior economic development officer Bill Underwood said each would be reimbursed up to $8000 for business establishment costs and received free small business mentoring sessions. Dr Rebecca Yee and Dale Barnett from Biofuel Innovations in Dandenong South provide biodiesel using organic waste, primarily cooking oil. Mona and Vas Lumani are establishing Arabian Bites in Dandenong. 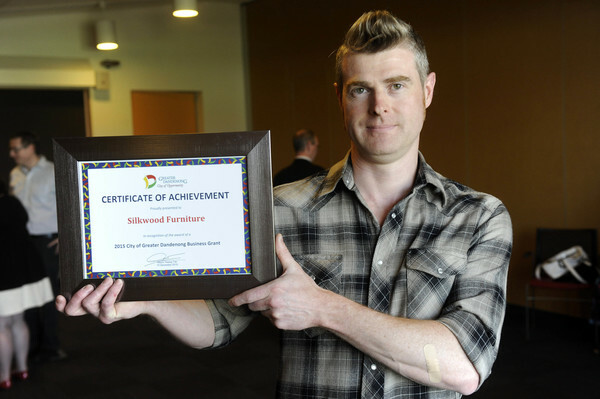 Mr Underwood said they would produce falafel and other middle-eastern food products – “fabulous food and glorious packaging that really impressed us”. Father and son team Sam and Penn Wu run Global Communications Australia in Springvale, producing sophisticated LED screens and monitoring and surveillance equipment. Steven Jones is relocating bespoke furniture and joinery business Silkwood Furniture from Cockatoo to Greater Dandenong. “He’s going to be a great addition to our community,” Mr Underwood said. 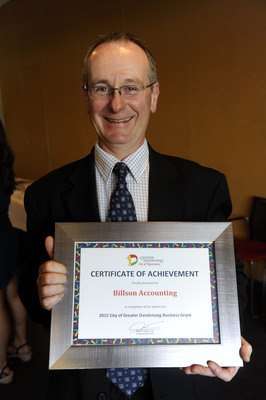 Ross Billson at Billson Accounting in Dandenong South is providing financial services to small and medium-sized businesses. Michelle and Travis Johnson at Melbourne Ballet School in Noble Park North provide ballet, jazz and tap tuition. The Journal will profile each of the successful businesses over coming months.